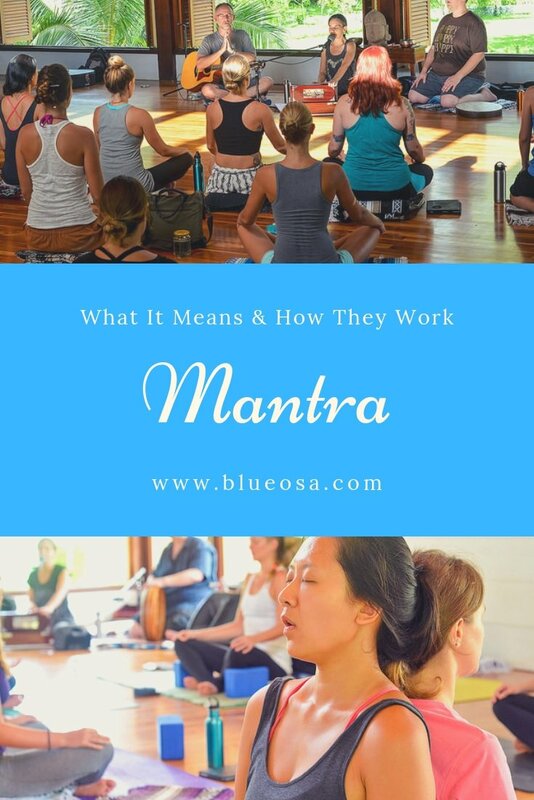 The word mantra comes from Sanskrit, an ancient Indian language dating back almost four millennia which is nowadays used only as a liturgical language in Hinduism and some prominent texts of Buddhism and Jainism. So the idea of mantras has been around for a pretty long time, but has only been adopted by popular western culture in the last few decades. Of course, there are some ways that the word is used nowadays that does not exactly represent where it comes from, such as the concept of a “corporate mantra”, so what exactly is a mantra in its true form, and how do they work? Simply put, a mantra is a single word, a phrase, a set of syllables or just a sound that acts as a focal point for the mind while engaging in some form of prayer, meditation, tantra, yoga or other focused thought or physical activity. The oldest recorded mantras were written in Vedic Sanskrit, making them at least three millennia old, but they have since appeared in many forms and languages, mostly in religious traditions such as Hinduism, Buddhism, Sikhism, Taoism and Christianity. The word mantra literally translates as instrument of thought and most broadly put, its purpose is to aid concentration. One of the most common mantras is some kind of variation on om shanti, consisting of om, generally understood as the vibration of the universe, and shanti, the Sanskrit word for peace, calm or bliss. A typical mantra of this kind could be something like om shanti om or om shanti shanti shanti. The latter stands for peace of three kinds all at once: peace of mind, peace of speech and peace of body, as well as representing the wish for individual peace, peace in a collective and universal peace. Using such a mantra during meditation not only helps to clear the mind of other thoughts, but also focus the mind on the singular idea of peace and thus help bring it forward in your mind. Learn More About Mantras In Our New Online Yoga Academy! It is now becoming clear to western science that the regular use of mantras in meditation can have significant neurological effects, the health benefits of which include a more peaceful mind and a calmer nervous system. There have been several studies using brain-imaging technology to monitor participants neurological activity during meditation using a mantra, which have found that people using mantras while meditating are able to achieve a deactivated state of the typical mode network of the brain, which generally translated to their experience as having fewer thoughts and feeling more relaxed. 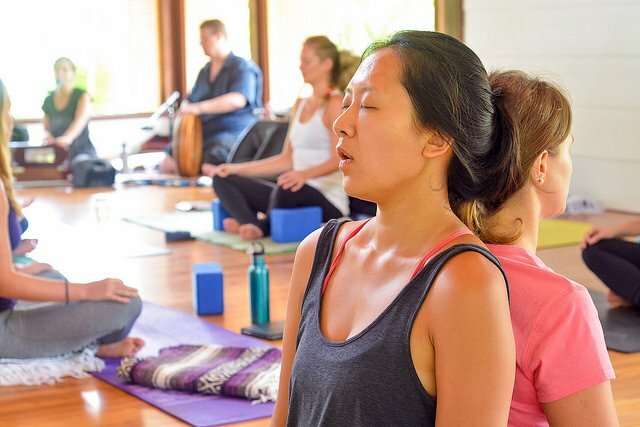 These studies show that regardless of the actual meaning of the mantra used, this state of relaxation can be achieved simply by repeating the same thing over and over again. Knowing what a powerful tool mantras can be, finding one that suits you is a worthy experiment. Although the neurological effects may be more or less the same regardless of what the mantra actually is, you may not feel the same about all possible mantras that you could use in your own meditation practice. 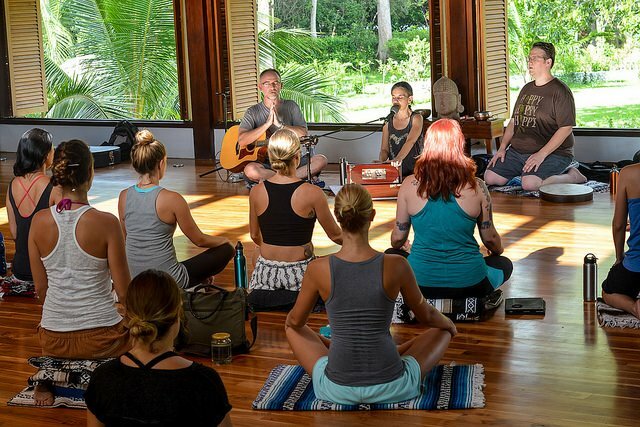 You may want to start looking for mantras among the classical Sanskrit mantras for ones that feel good in your practice, such as the om shanti mantra mentioned above: short and simple can be a great place to start! More complex mantras, such as a Gayatri mantra, whose first written form dates back at least 2500 years, and is one of the most sacred of the vedas that serves as a hymn to the sun god, Savitur. Having a more complex mantra to repeat to yourself may allow for a more complete concentration on the words, allowing you to relax and let go even deeper in your meditation, even if you don’t specifically resonate with the meaning behind and origin of the mantra. 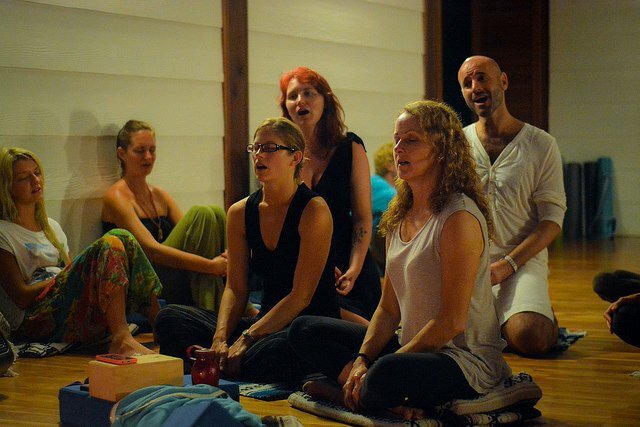 You may also choose to experiment with a purely phonetic mantra without any meaning behind it, perhaps even one of your own design, to allow for the possibility to focus on how making the sounds feels in your mouth, and what they sound like to your ears. Whatever you choose, you don’t have to stick with for life, and you can always switch between mantras depending on your mood and the kind of meditation you wish to achieve. Thinking of mantras as exactly what their etymology suggests, instruments for thought, is a really useful place to start when delving into the world of mantras: understanding them as such will not only help you understand where they came from, what purpose they’ve served historically and how they can help you, but also form your own relationship to them and seeing how they can help you in your meditation.